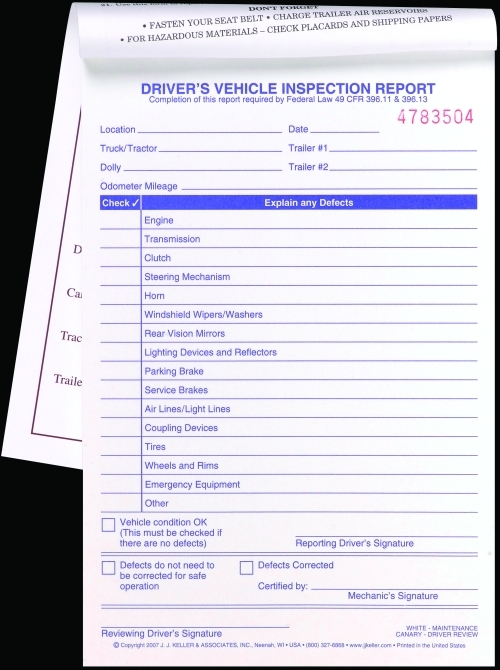 Simplified DVIR Vertical Format Bilingual 2-Ply Book Format Carbonless 9528/140-B is a simplified version of the detailed driver vehicle inspection report. It has 15 inspection areas and room to record any defects. This carbonless Simplified DVIR is a 2-ply vertical book format. It includes key regulations printed on inside front cover to remind drivers of DOT-required procedures.